X-Ray vs MRI – What Are They And How Much Do They Help? With all the different types of imaging available to investigate our various injuries and ailments, it can get very confusing as to what each does and why you’d choose one over the other. We hope to provide a little clarity on what each type of imaging does, how it works, how they help us as physiotherapists and you as someone in pain! X-rays are the most commonly used form of imaging and often the first port of call in having a look at the structure of a joint or bone (cheap, easy and minimal radiation). Bones absorb the radiation from X-rays very efficiently. Soft-tissues like cartilage, swelling, muscle etc. don’t have great absorption however, and therefore it hard to see these on an X-ray. So X-rays are fantastic at giving us a good look at bones and joints, but offer very little information on anything else. These help us diagnose fractures (broken bones), dislocations, stress fractures and other bony changes like arthritis and some cancers. MRI (magnetic resonance imaging) became widely available in the 1980’s and offered a safer alternative to X-ray and CT as it doesn’t use radiation to image. It is the 'gold standard' for many different body systems, including the musculoskeletal system. It can give fantastic images of things like ligaments, tendons, nerves, discs and organs. An MRI typically costs anywhere from $300-$2000 depending on the area of the body and type of machine (compared to roughly $70 for an X-ray). Now If MRI is SO good at providing versatile, 3D images of bone and soft tissue WITHOUT using radiation.. why do we still use X-rays? Well, where an injury is potentially related to a bone, e.g. fractures, arthritis or tumours, an X-ray will effectively help pick up these issues at a fraction of the cost AND time of an MRI, and with relatively little radiation. In a lot of cases, an X-ray may not reveal anything, but in these situations it is useful in ruling out major fractures and joint problems. An MRI may then be necessary to help diagnose the problem if it is still not clinically obvious. When you come to the physio, you are usually asked to bring ‘any relevant imaging’ with you. This is not because we can’t tell what’s wrong without them BUT because they are often helpful in adding to whole picture. We usually figure things out ourselves, and our physical tests for different conditions are good but nothing is 100% perfect, 100% of the time. When a physical test is combined with something like an X-ray or MRI the picture becomes a lot clearer! Think of images like an ingredient in a cake ... you can’t make a cake with just eggs, you need the flour and butter and milk etc. In the same way, imaging can often be a vital ingredient in helping diagnose your injury but is not the be all and end all. 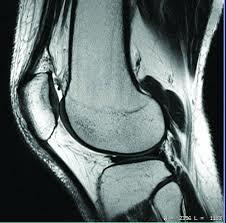 An image, whether it be an X-ray, MRI, ultrasound or CT gives us useful information about the condition of your joints or tissues and helps inform the treatment we then give you. Newer PostMeet Ellie - Our New Physio! Older PostFoot Pain and Plantar Fasci-what?! ?